We're sure you're already well aware of just how useful ResourceSpace is as a tool for managing your digital assets online. But for those in the gallery and museum sector, there's only one thing that could make our service better. 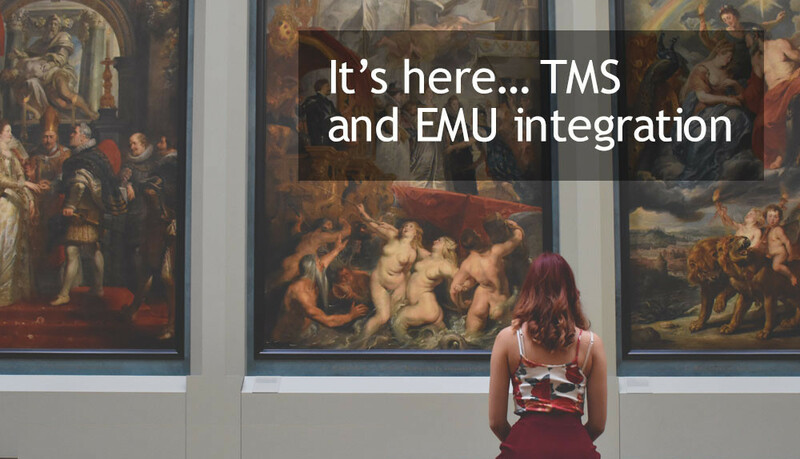 ResourceSpace now offers full integration with TMS (The Museum System) and EMu. Whether it's curating art or artefacts, professionals in this industry use platforms such as these to manage the data they hold on their various collections, from archives and object details to exhibition management and conservation records. By using ResourceSpace in conjunction with your existing TMS or EMu platforms, you'll be able to tag your assets in an even more effective way. Simply upload a file, like a photograph or video, which refers to a physical object in your collection, such as a priceless painting or an ancient vase, and enter the Collection Management System reference for said piece. ResourceSpace then fetches all the appropriate metadata for that item from the CMS, such as Object Name, Object Number, ID, Classification, etc. In this way, you'll be able to immediately import data from one system to the other without having to manually input it, allowing you to quickly transfer between ResourceSpace and TMS or EMu, making your job just that little bit easier. After all, you may deal in history on a daily basis, but we're sure you'll be happy to make excessive admin procedures a thing of the past! The ability to integrate ResourceSpace with leading collection management platforms will allow you to categorise files in an entirely new way. Start your free trial of ResourceSpace today to see how much easier it is to manage and share your assets digitally, or to talk to the team further about the benefits of our new integration features for the museum and gallery trades, simply get in touch.